These instructions will remove the following message from appearing every time you plug in your iPad. 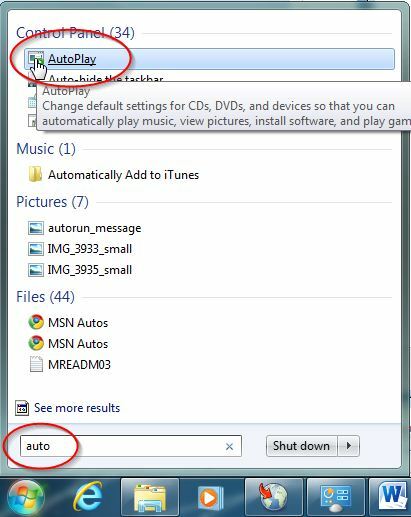 Type “auto” in the search bar and click on “AutoPlay” as shown below. In the next window follow the steps as described below. 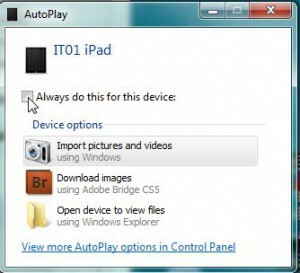 To test, eject your iPad and reconnect it. The “Autoplay” message should not appear. 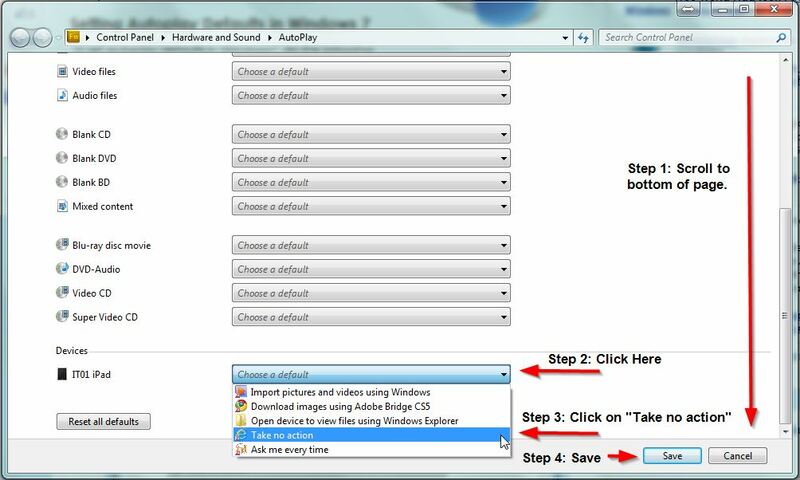 If it does, please follow the procedure again and make sure your click on “Save” and not “Cancel”.